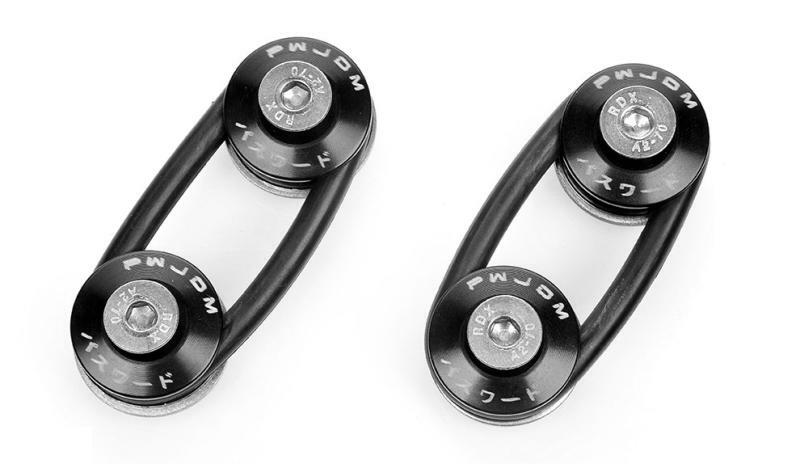 Password:JDM Quick Release Fasteners are ideal for front bumpers, rear bumpers, and trunk / hatch lids, that you need to remove frequently, or remove and reinstall quickly, such as in the pits. Our quick release fasteners are for off road use only. Our fasteners are precision machined from billet aluminum, and have a black anodized finish. Includes stainless steel hardware. Sold as one pair.